Over 250,000 views…and lots more stats to interest you…! At the end of 2013, the site officially hit 250,000 views (since starting the website in February 2012, but really from around mid 2012 when the bulk of the content and structure really started taking place)…so a huge THANK YOU to everyone who’s found the RareRecordCollector.net website and hopefully found it useful! UK comes 1st with over 53,500 views, followed by Russia, USA, Germany, Ukraine, Italy, France, Sweden, Japan and Portugal is 10th with 7,500 views. Propping up the table with just 1 view each (mustn’t have that much in the way of record collections!) are the Cayman Islands, Aland Islands, Aruba, Nigeria, Panama, Tanzania, Qatar, Nepal, El Salvador and Guadeloupe. Led Zeppelin’s albums are what you seem to want to know the most about with Led Zeppelin’s 2nd album (and all it’s variations no doubt!) leading the way – viewed over 3,100 times! Led Zeppelin dominates once again! With a massive 5,277 views, the post on the multiple label variants for Led Zeppelin’s untitled 4th album easily tops the chart! The next nearest competitor is Led Zeppelin (again) and all the 6 sleeve variants for “In Through The Out Door”. 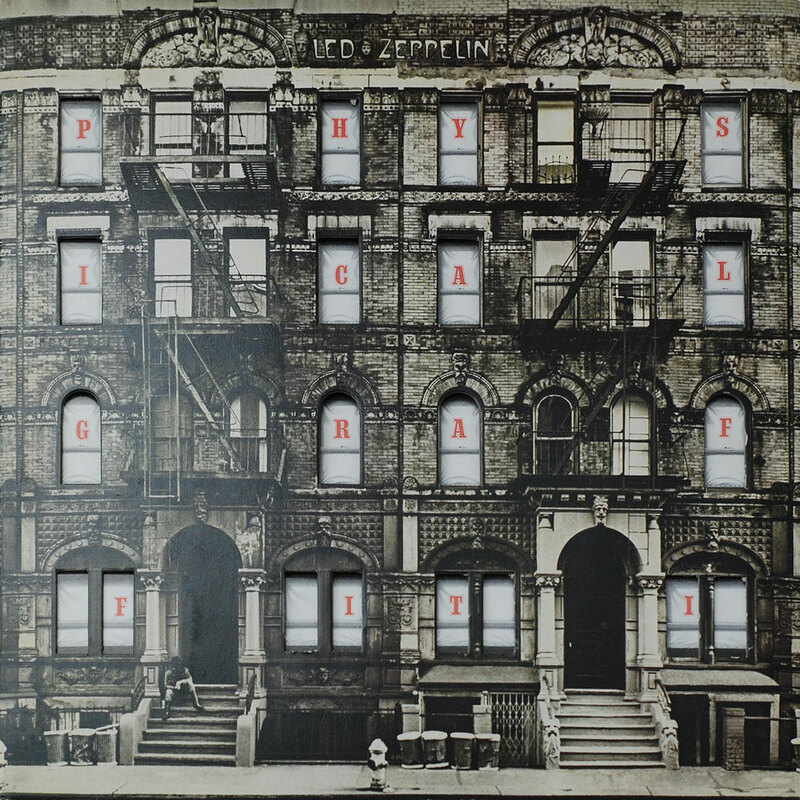 So it seems that rare record collectors just can’t get enough of their Led Zeppelin! Thanks again to all who’ve used the site and left positive feedback, provided corrections and suggestions and even donated the odd photo of their obscure record rarities! Don’t forget the site is constantly evolving and being updated, so please keep coming back and help spread the word!